Learn these Iyengar yoga exercises and yoga asanas for acidity and to relieve indigestion, acid reflux, gerd, bloating, and stomach cramps. 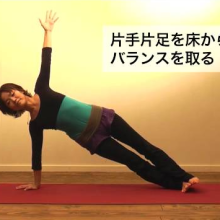 This yoga video teaches you yoga poses that helps to keep acid reflux and hearburn at bay. Place the chair close to the wall. Keep your feet hip distance apart, hands on the handle of the chair and push the chair. 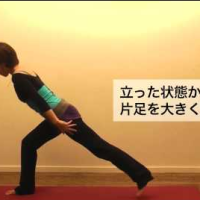 Raise your right leg up, spine parallel to the floor and then bring the leg down. Repeat with left leg. 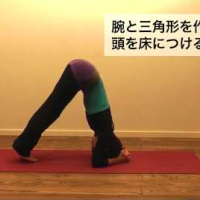 Take a belt over to the center of the leg, tighten it, lie down on your back. Hug the knees close to your chest, flex your feet and heels close to the buttocks. Place your palms on the floor, you’re your left shoulder blade on the floor, move your knees close to the armpit. Come back to position and change sides. Repeat at least 15 to 20 times. Place the bolster close to the wall and sit on the edge. Extend your left leg forward, take your left elbow over to the right knee and place your right palm on the brick. Stay for 60 seconds. Change sides and repeat two times on each side. Thank you to Divya Nichani and Me + Yoga.